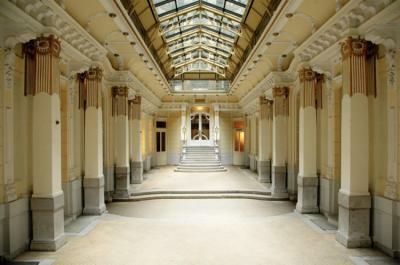 Budapest – Hostels in Budapest. Maps for Budapest, Photos and Reviews for each hostel in Budapest. 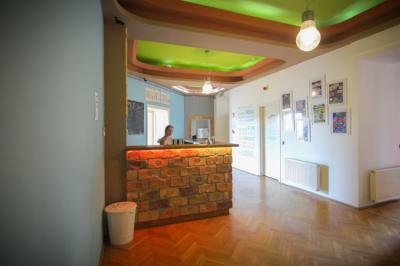 Looking for a hostel in Budapest? 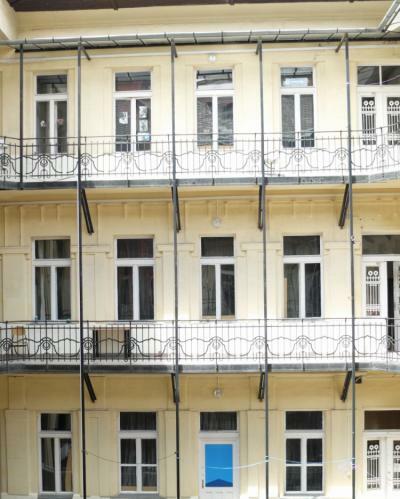 Look no further, all the good deals in Budapest are on Dorms.com. Like thousands of other people every month, book your hostel securely at the best price in all neighbourhoods of Budapest. On this site, you can easily find a hostel downtown, in a trendy neighbourhood; a hostel in the student- university district, close to bus or train stations, airports or major attractions of Budapest. The area is home to many small streets originating in the Middle Ages, now offering a variety of culture, great restaurants, traditional coffee houses, bars. Most of the city's tourist attractions are within 15 minutes on foot, including the Castle area on the Buda side and the famous ruin pubs too. Thermal baths, underground cave tours ,city biking ,wine tasting ,danube cruises..all possible in our area. • Most city attractions in walking distance. - Opera House, St Stephen's Basilica, Great Jewish Synagogue • 24 hour super market next door. Our Hostel is located in a charming leafy residential area in a quiet street with excellent transport links to visit all of the great tourist attractions and historical sites of Budapest. The hostel is 10 minutes ride or 25 minutes walk to the city center with fantastic 24 hour public transport. 10 minutes walk to the famous Gellert Hill with a beautiful panoramic view of Budapest with all of it's bridges also a 10 minute walk to Allee shopping mall and an amazing fresh farmers market. Very pleasant stay. Everything is done to feel at ease, from the reception to listening to the staff. The rooms and common areas are also well appointed. In short, a very good first experience in youth hostel. The facilities are incredible, very comfortably, the daily cleanliness also impeccable and the worker's friendliness perfect. 100% recommended, many activities are proposed and it is very well located. 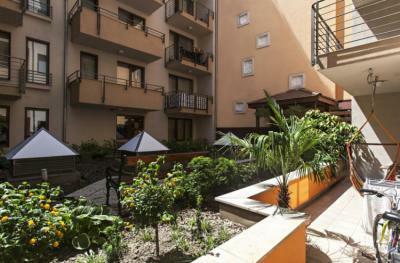 It is well located in the Jewish quarter of Budapest close to a Romkert. I was in a mixed dormitory of four people. The place is clean, well maintained. There is a kitchen, you can get tea or coffee for free. I appreciated the presence of padlock locker in the dormitories. they allow to put a small complete suitcase. Expect earplugs to sleep well is essential. But that's normal. Be careful with money when you arrive because they ask for a deposit for the magnetic card (which allows access to the hostel after 23h upstairs and room) and the padlock locker. They also provide a towel every day (handy when traveling light). Tent in the garden (strange enough), but the officials are very kind. The rooms are clean (I recommend the loft room which is superb). The kitchen is very well equipped, clean, with room. By cons, 0 security .. a review! We had a private room in the attic, with the 36 ° outside we were scared to be hot, but we had the pleasant surprise of having a fan and air conditioning. The bed was a bit hard for our taste. The premises was clean, the staff smiling but not always present at the reception. Our Hostel takes place on the edge of the city center what makes it cheaper while you can find everything you need around us. Besides this, the public transportation is very good around us so whenever you feel like to go somewhere you can reach anything very easily. Plus the non-stop tram line 6 is like 5 minutes of walking from us so you can come home anytime after a hard party either. As you step out to the street you can see the dome of the St. Stephen's Basilica, which was named after the first ruler of Hungary :) The modern and safe Broadway Hostel features a home cinema, a kitchen, a laundry, a comfortable sitting room and a wide range of programmes available at the 24-hour reception. There are several restaurants, bars, pubs and night clubs in the vicinity. The rooms were very good, although a lot of light came in. But the bathrooms smelled terrible, they were dirty and did not seem to be cleaned. As for the location, I was lost from the world although with good connections. We believe that the building in front was a social dining room. Very noisy, every night there were a few things. 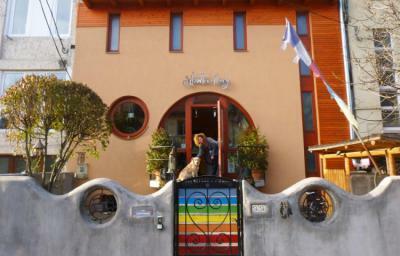 The owners are very friendly, but the other guests at the hostel were not pleasant, they were very dirty.